"Most fans know us only by what they see in the highlights on TV. But as Doug Glanville knows so well, being a professional athlete doesn’t make us exempt from the world that exists outside the lines – we are very much a part of it, but we can’t let it show. (That’s not professional!) 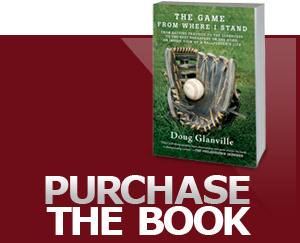 In this book Doug goes beyond the playing field to bring into view the full reality of being in the major leagues."